A few years ago I got the idea that it would be fun to implement a variant of Scheme targeting the JVM. During my search for different ways to implement numerics I looked deeply at the implementation of two languages: JScheme and a little-known language Clojure. During my explorations with these two languages and the ways that they handled and implemented numerics I quickly came to a humbling realization: there was no possible way that I could make a language as good as either, and along the way I happened to fall in love with Clojure. So as a result I completely abandoned my piddly Scheme and adopted Clojure outright. to implement a variant of Scheme piecewise; building a more capable interpreter as the book progressed. As you can imagine, I completely abandoned my JS/Scheme book idea. 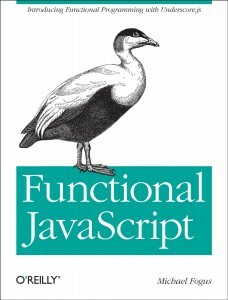 Instead of creating a language for the purposes of building an understanding of functional programming, I could instead write one book introducing functional programming for a language that could use such a book and another introducing how and why languages are created the way that they’re created. About a year and a half ago I started both of these books, but as it stands only one has managed to come to fruition so far. As of a month ago the book was effectively complete and is now making its way through the internal review process.1 The expected release date is June 2013, but the book is available for pre-order from Amazon now. This book has been a long time in the works in some form or another and I think that despite all of the setbacks getting here, now is the best time for it to see the light. I hope that you’ll enjoy. WTF, dude — that is great! Pre-ordered. Also, I love the question mark on the Amazon version of the title. It makes it so much more intriguing. Thanks Clinton, I really appreciate your support. When is the one about interpretation coming out? That sounds way more interesting. Our book is called “Das Curry-Buch” (the curry book) and you can find it on the German Amazon. PS: My other comment is stuck in your moderation queue, because of a link I guess, sorry about that. Underscore takes center stage but I plan to talk about other FP.js libraries including Steele’s. Although I cannot read nor speak German, I’m seriously considering your book for the title alone. Best of luck with your release. Wow. I just released a Python book (Treading on Python Vol 2) that could be considered “functional” Python. A whole third of it is devoted to functional programming, and the rest to decorators and iteration (which could be considered functional as well). I think it is wonderful that what most people consider non-functional programming languages are being introduced to this powerful programming paradigm. (Especially with the number of programmers these days that weren’t required to study languages in school and have some exposure to functional constructs). Best of luck with your book! (Also, I’d love to see a writeup comparing different publishers and their styles). I’m looking forward to this. I’ve added it to my wishlist. Chapters 7 and 8 sounds especially interesting. Thanks for writing this!